Mary has been a community organizer and fundraiser in Madison for over thirty years. 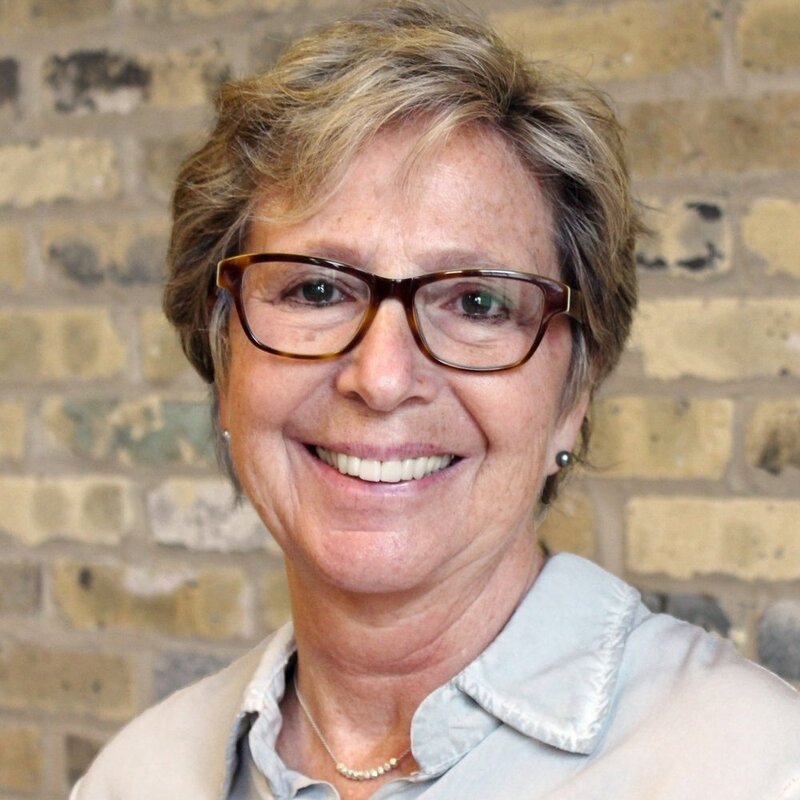 She has led committees for city events, public art work, the Monona Terrace Community and Convention Center, and Tenney Park’s John Wall Family Pavilion. She also had retail stores on State Street and in the past ten years she’s been involved in state and national politics. Mary chaired our last capital campaign, so she played a huge role in making the Goodman Community Center as we know it today possible. She is happy to be back as the Chair of our expansion campaign for Even Greater Good. Becky Steinhoff is a proven agent of change, utilizing every opportunity to gather people and resources to improve the lives of kids and adults around her. In her 29 years as executive director of the Goodman [formerly Atwood] Community Center, she has grown the Center from a small neighborhood center with a handful of small programs to a multi-faceted community center that strengthens the lives of toddlers to older adults. Her vision is to make Madison a place where everyone has the resources and opportunities they need to create a meaningful life for themselves and to be engaged with their family and community. Becky, a graduate of UW-Madison, is a member of Rotary International and is a YWCA Woman of Distinction. Jon has orchestrated our annual Thanksgiving Basket Drive the past four years which in addition to feeding 3,500 families, draws hundreds of new donors to the Center each year. Through this event he’s developed strong relationships with UW-Athletics, Channel 3000, iHeartRadio and many other Dane County businesses. He also serves as the Development Chair for a new, international nonprofit and runs a scholarship fund that he created in his hometown. Jon is here for you and will find mutually beneficial ways for your organization to have a positive impact at Goodman that also meet your goals.